Don’t you just love little babies? They are so sweet and precious. Their little toes are so tiny and cute, and their little cheeks so ripe for kissing. And in a short month, I’ll be able to hug and cuddle him. In the meantime, I thought it would be a good idea to make a few things for him. We went on a cruise in June, and for most of the drive to FL and back I worked on a blanket from a free pattern I found on ravelry. After the first couple of rows, the pattern was pretty easy. However, it was super important that I count the stitches each row — missing just one would throw the other rows off. I love the waves, and the popcorn stitches make it a little more thick than a typical blanket but not too heavy. 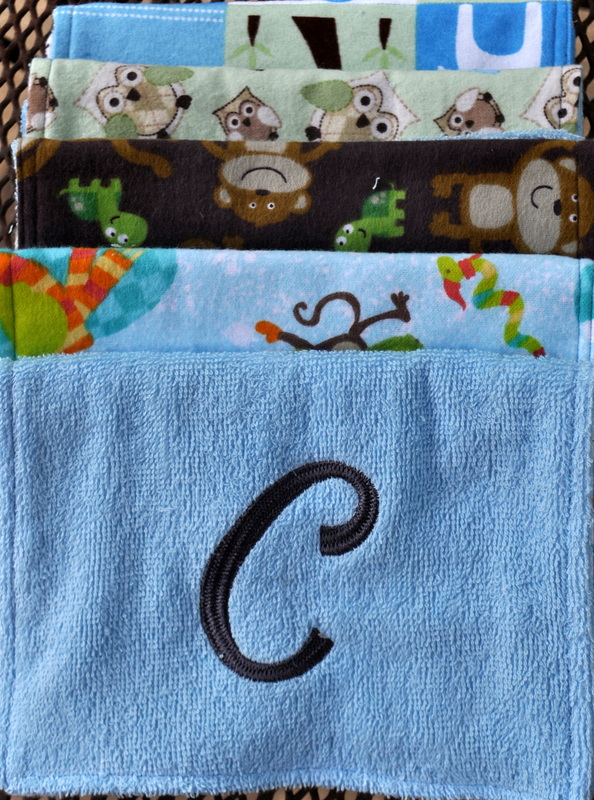 Next up were some burp cloths and onesies. 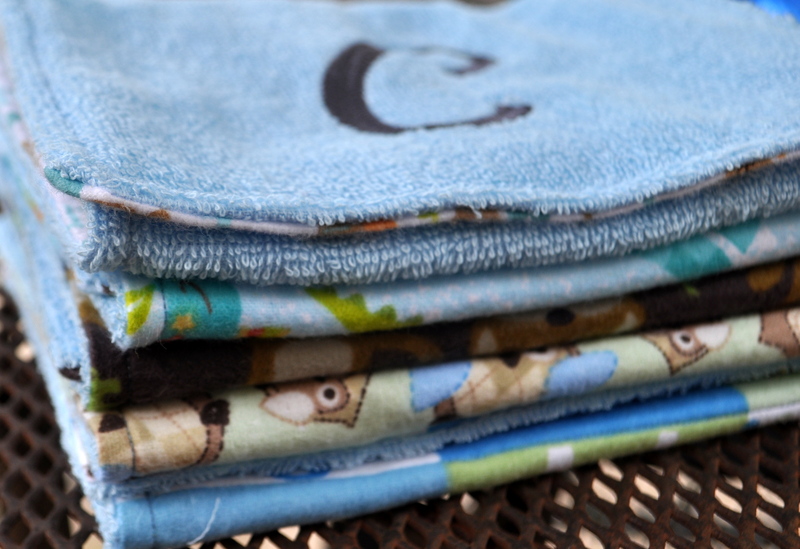 I usually make burp clothes from pre-folded diapers and add some flannel. This time I used flannel on one side and terry on the other. They were super easy to sew up. I hope they are absorbent. 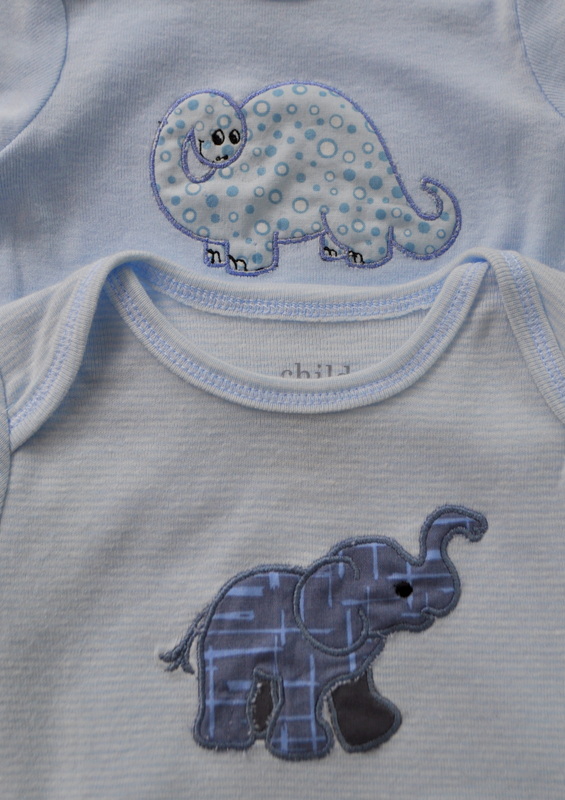 And the onesies I embroidered with an adorable little elephant and dinosaur that I digitized. Up next, a quilt. I’ll keep you posted on the progress. This little one is going to be ‘hooked-up’. 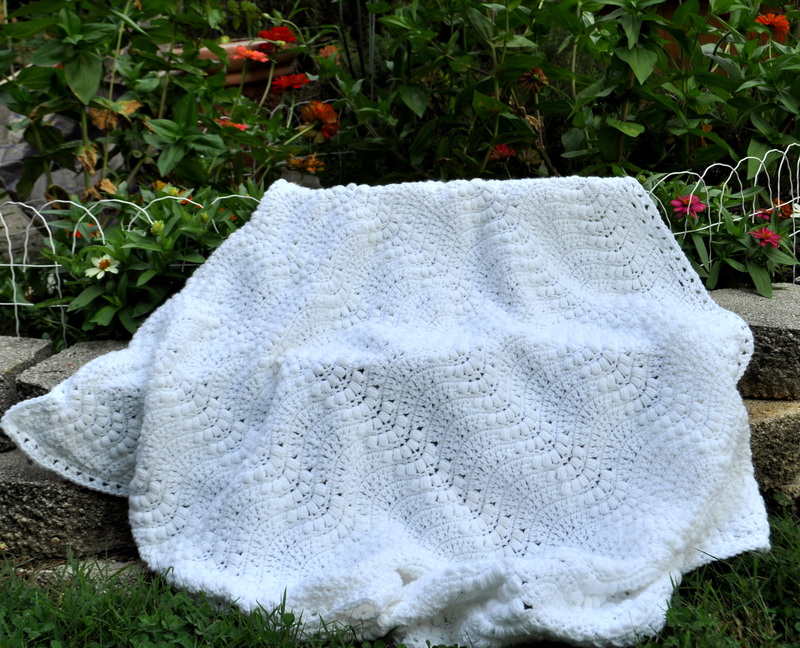 This entry was posted in Crochet/Knitting, Quilting/Sewing and tagged baby, blanket, burp cloth, crochet, dinosaur, elephant, embroidery, f, onesies, puppy dog tails, quilt by monkeyneedle. Bookmark the permalink. How exciting to have a new baby arriving soon! Lovely gifts to welcome him. You’ve made some beautiful gifts for the new one coming. Love the blanket!